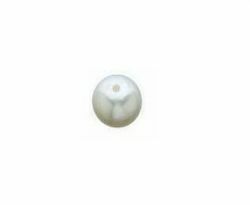 Description: White colored 'AA" quality Japanese saltwater Akoya cultured pearls for replacements, repairs or your own designs. They are available full drilled and ready to be strung or added to your wire designs. The 'AA' quality is clean, good shape, good luster. Color ranges may be specified if you are trying to match and are available in white, pinkish or cream. Sold individually.